Commercial Fleet Management for business fleets of any size. 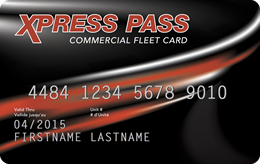 "Taking advantage of XTR's Xpress Pass Fleet Program and T-Check Commercial card has locked in new volume and established customer loyalty. I am now up to 3 loads per week and have made soliciting customers a part of my daily activities."